The afternoon session at the ICI Berlin addresses the lived entanglements of the global that are not adequately theorized by notions of the global and the local, which bifurcate experiences that are necessarily co-constituting. It will take up the question of how artworks, artists, cultural producers, art historians, historians, and theorists who simultaneously exist on multiple and intertwining scales, co-constitute the global in relation with one another through meaning making/world-making processes of (critical) interconnecting, social networks, transnational/transcultural historiography, the circulation of objects, and imagined communities. We aim to address methodological challenges in the study of art history that reimagines its possible narratives by simultaneously holding account of art’s global resonances and its local, national, and regional frameworks. The papers on this panel are situated at the intersection between diaspora, postcolonial, and global (art history) studies. They seek to decolonize and deimperialize new top-down narratives of so called ‘global art’, that often identify global capitalism as the universal condition and will instead shed light on the multiperspectival polyphony that co-constitutes the global. for Sarah Dornhof, Nanne Buurman, Birgit Hopfener, Barbara Lutz (eds.) Situating Global Art: Topologies, Temporalities, Trajectories (Bielefeld 2018). 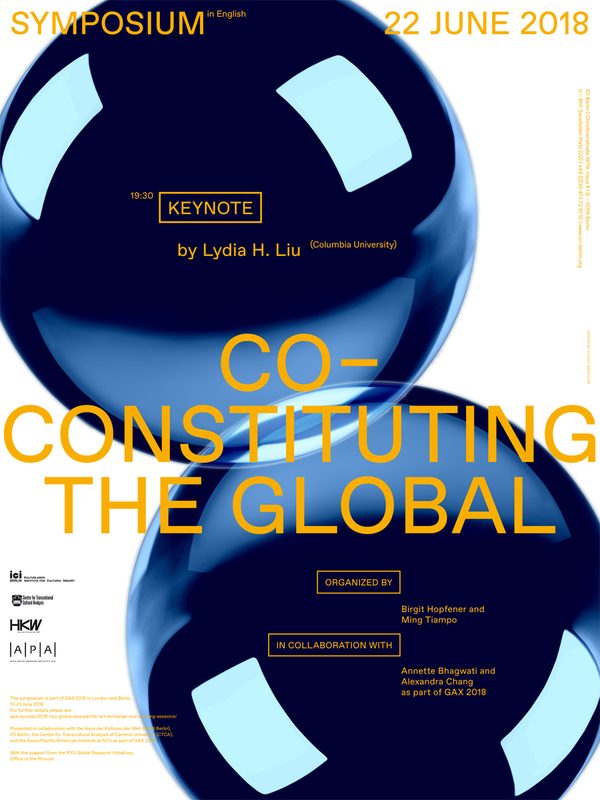 The panel is the public part of a two-day symposium at HKW and ICI Berlin. This symposium, in turn, is part of GAX 2018 in London and Berlin, 13–23 June 2018.